If data and communications wiring is becoming increasingly difficult for your on-site technician, call Reliable Electric. Our electricians are dedicated to provide superior service to commercial telephone wiring, data cabling, and computer network wiring. • Do you want an additional phone connection or telephone jack for an office or boardroom? • Do you need a business telephone system installed? • Do you need voice or data wiring? • Is a phone line for your fax machine needed? • Have you experienced a loss of dial tone? • Does your telephone jack or outlet need repairing? • Do you have a phone system that needs programming? Answer yes to any of the above questions? Call 843-215-7725 and Reliable Electric We’ll “BEE” There to correct your business telephone system. Looking for a professional local electricians and a company the guarantees timely service? Call Reliable Electric… We’ll “BEE” There to handle your company’s data cabling needs. And a uniformed licensed electrician will show up on time with the required electrical tools. • Do you need a security system installed? • Do you need voice and video cabling? 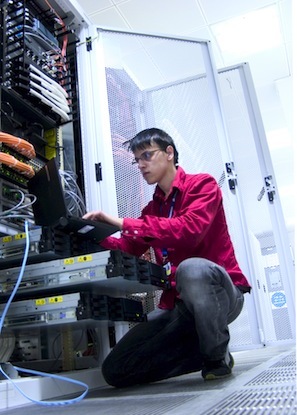 • Do you need data center cabling installation or repair? • Do you need coax cabling for high fidelity audio, television, satellite or broadband communication? • Does your computer need a cable connection? • Do you want satellite or cable television access in additional offices? • Do you need a new router? If you answered yes to any of the questions. No worries– Call us. We will send one of our reliable-licensed technicians to your business 24 hours a day and 7 days a week. If you are staring at too many computer wires and unknowing of where to plug the blue wire. And have no idea what a coaxial cable is, then call Reliable Electric. • Do you need a wireless network? • Do you need a high bandwidth network? • Do you need a cable routed to an isolated cubicle or office? • Do you need network hub and switch installation? • Do you need to connect more computers to your network? Call us 24/7 if you answered yes to any of the above questions. We make you Dollars not Cents by providing your business with the Computer Network you need in our global economy. Call us now at 843-215-7725, and a journeyman electrician will take care of all your commercial electric needs. After all…We’ll “BEE” There!